Dr. Charles A Cooper, MD is a Doctor primarily located in Thousand Oaks, CA, with another office in San Francisco, CA. He has 39 years of experience. His specialties include Ophthalmology. He speaks English. 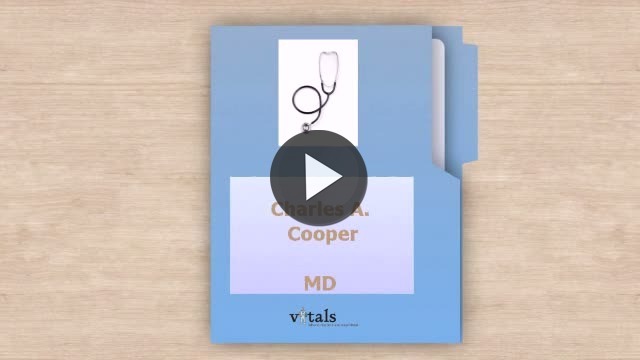 The overall average patient rating of Dr. Charles A Cooper is Great. Dr. Charles A Cooper has been rated by 17 patients. From those 17 patients 11 of those left a comment along with their rating. The overall rating for Dr. Charles A Cooper is 3.5 of 5.0 stars. Ophthalmologist Dr. Charles A. Cooper M.D. | Thousand OaksDr. Charles Cooper is a board-certified ophthalmologist specializing in infant and pediatric eye care. He also provides comprehensive eye care for adult patients. Dr. Cooper has practiced at Lynn Eye Medical Group since 1985, and also holds an academic appointment as an Assistant Clinical Professor of Ophthalmology at Jules Stein Eye Institute at UCLA. He has extensive experience in the management of medical and surgical diseases of the eyes in children. He has performed over 4,000 surgical procedures, including strabismus surgery (eye muscle surgery) in children and adults, nasolacrimal duct surgery (tear duct surgery) and surgery to correct disorders of the eyelids in children. Conditions routinely treated in the office setting include refractive errors in children, amblyopia, the diagnosis of causes of visual loss identified in abnormal vision screening exams at school or by the child's primary care doctor, and ocular injuries. Dr. Cooper is a proud Aggie, having received his undergraduate degree in Genetics from the University of California, Davis. He earned his medical degree from the University of California, Irvine School of Medicine. He then completed his internship in Internal Medicine at St. Mary’s Hospital and Medical Center in San Francisco and his residency training in ophthalmology from the University of California, Irvine. Dr. Cooper also completed a fellowship in pediatric ophthalmology and strabismus at the Jules Stein Eye Institute at UCLA. Dr. Cooper is a Fellow of the American Academy of Ophthalmology and a member of the American Association for Pediatric Ophthalmology and Strabismus. Dr. Cooper is also the past President and a previous charter member of the Ventura County Ophthalmology Society, and has served as an expert reviewer for the Medical Board of the State of California. Take a minute to learn about Dr. Charles A Cooper, MD - Ophthalmology in Thousand Oaks, CA, in this video.